In a similar fashion to their wonderfully presented Stasis Ecstatic release, Decibel have chosen the LP vinyl format for their Tuned Darker publication and, whilst not as physically elaborate as the earlier release, it provides a lovely, eye-catching, warm dimension to the overall feel of the album. The title reflects a line from the poem October by Louise Glück, and consists of three works by Decibel members Cat Hope, Stuart James and Lindsay Vickery, drawing upon a range of acoustic instruments (including voice) all paired with electronics. Whilst the poem itself doesn’t actively seem to inform various philosophical or compositional aesthetics employed by the three composers, the title resonates strongly with the zeitgeist or overall spirit of the release, and the liner notes contain some very insightful thoughts articulating each piece, serving as a guide to some of the compositional, technical and aesthetic choices explored by the individual composers. As with other releases by Decibel with which I am familiar, each work is distinctive in its own right, yet there is an over-arching cohesion, ultimately offering an immersive and stimulating listening experience. On side A, works by Hope and James provide slowly evolving, nuanced timbral and textural modulations, each of which explores its own idiosyncratic instrumental and electronic expanse; the two works complement one another very effectively, producing some highly evocative, almost hermetic compositional musings. Side B presents a very different listening experience with a single poignant, colourful ensemble work by Vickery. Stylistically the work moves across the pointillistic through to the pulsatile, all the while retaining decidedly avant-garde characteristics. 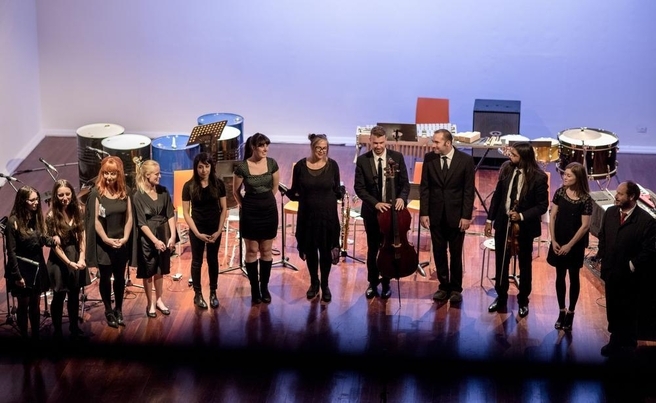 Adding to the appeal of the piece, Vickery artfully incorporates voice, where the instrumental ensemble couples the literary stylings of surrealist author, poet and scholar Françilon Daniels’ posthumous text Journaux Intimes which is sung expertly by mezzo-soprano Caitlin Cassidy. 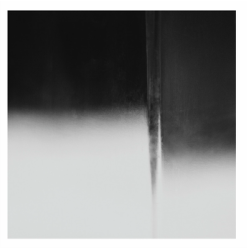 Overall, Tuned Darker is an enriching and engaging LP that highlights Hope’s, James’s and Vickery’s eclectic and evocative compositional synergy as part of the Decibel ensemble.